These were, in my opinion, the recipe standout during the South Beach Diet craze. With the inclusion of (small amounts, but still) butter, heavy cream, and a dollop of Boursin cheese, a little richness gets added, but these still stay much more on the side of “healthy” than traditional mashed potatoes ever would. 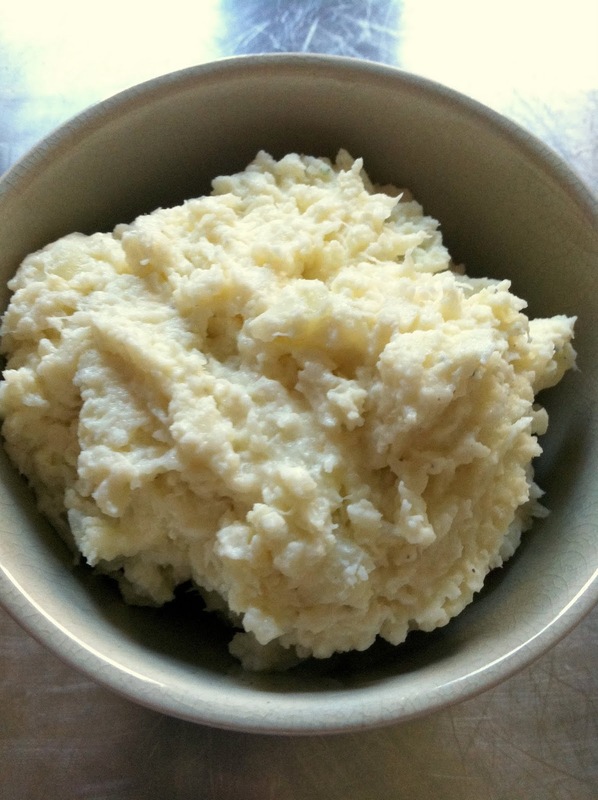 I actually think these are better than mashed potatoes – see if you can sneak them in as a substitute and see if anybody notices the difference. 1. 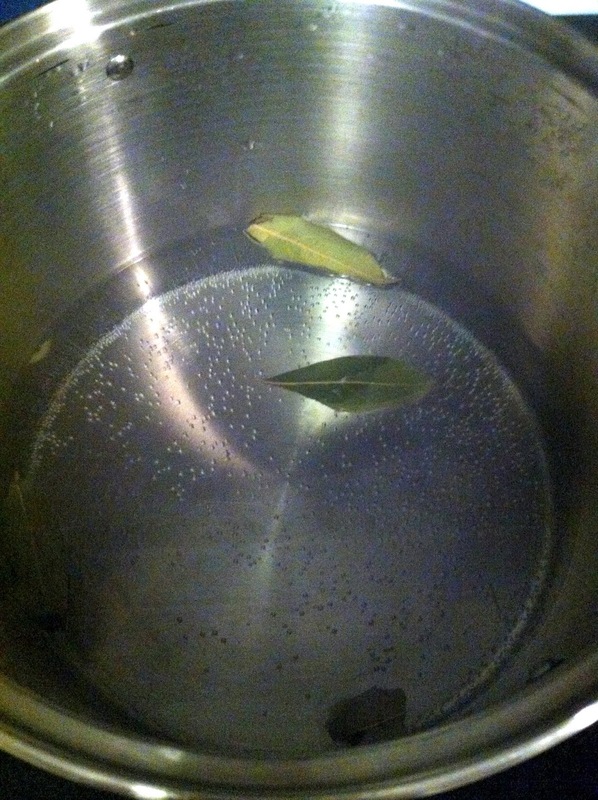 In a deep pot, boil about 3 inches of water & add a couple of bay leaves. 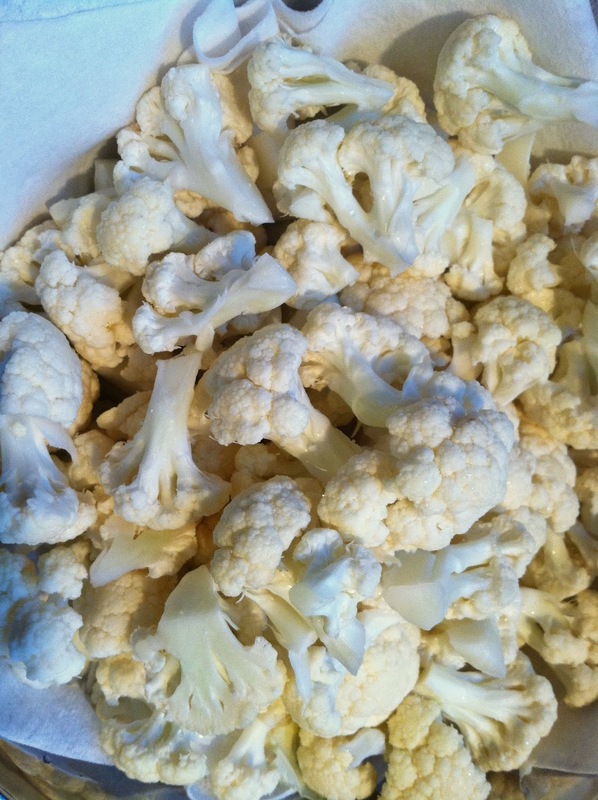 The bay leaves will infuse the water, and consequently the cauliflower as it steams, with more of a “potato” sort of flavor. 2. 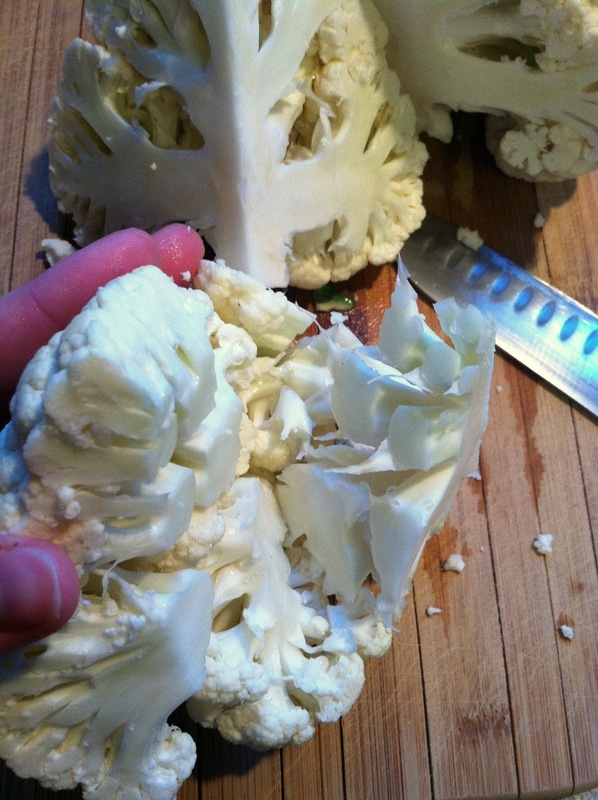 Wash a cauliflower, then cut it into chunky florets. 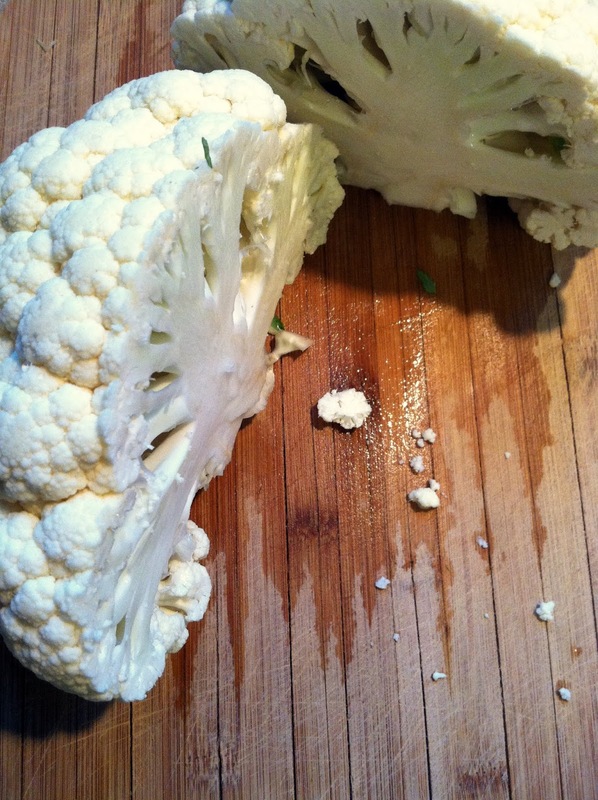 The easiest way to do this is to cut the cauliflower in quarters, then cut out the middle stem. 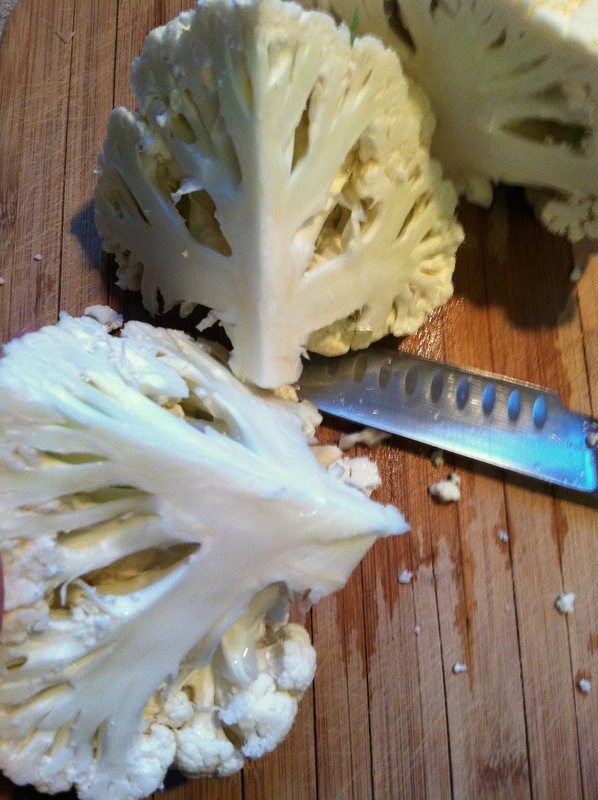 The florets should naturally fall away, and you won’t get tons of chopped up pieces of cauliflower all over the counter. 3. Throw the florets in a Colander , then place over (not in) the boiling water, and put a lid over the top of it to keep in the steam. I’m sure there are (much) fancier ways to steam things, but this is what we’re working with here. 4. 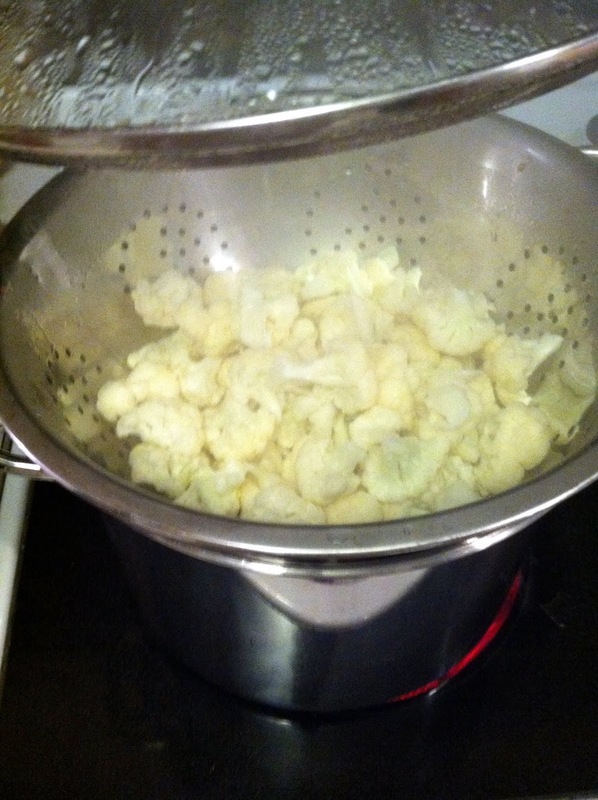 Let cauliflower steam for approx. 10 minutes until fork-tender. Remove the colander from the heat, turn off heat completely, and drain the water. 5. 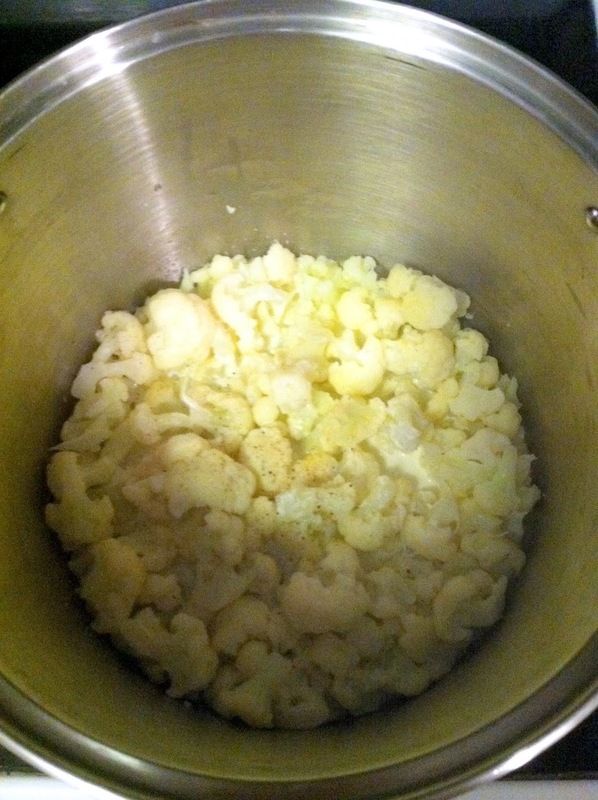 Put the cauliflower back in the drained pot on the same burner you previously used, which is now turned off. 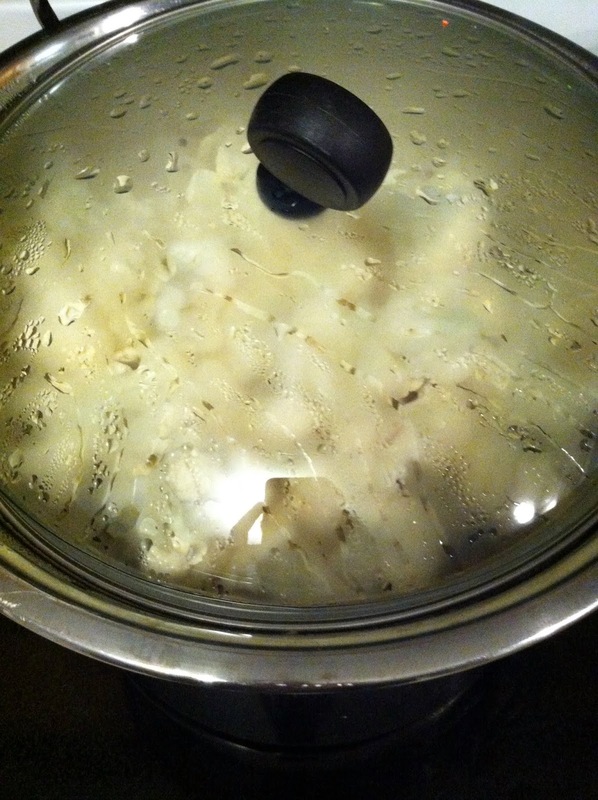 This is my Dad’s trick for getting rid of excess water for mashed potatoes, and it works just as well here. 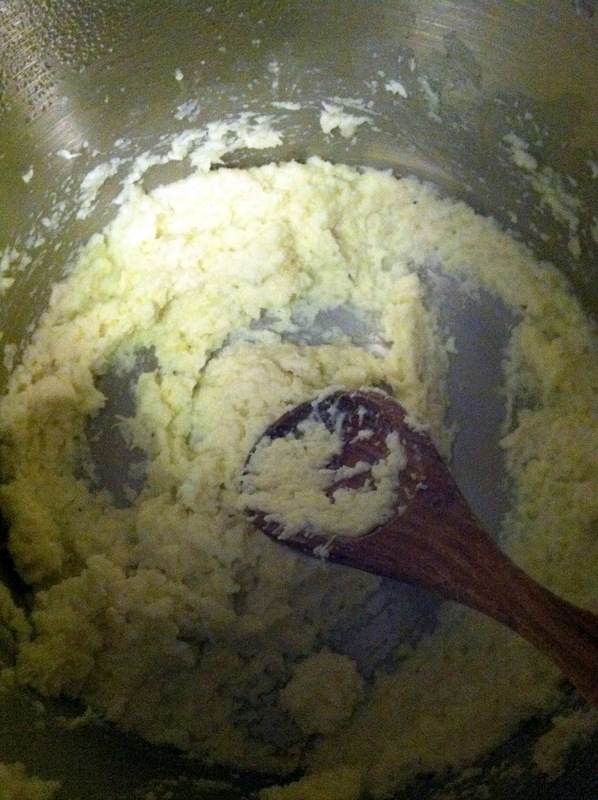 The leftover heat will kind of zap out any remaining water, which will give you fluffy “potatoes” instead of soggy, watery ones. Stir the cauliflower pretty well to make sure it doesn’t burn. 6. Add the “extras”. Heavy cream, butter, boursin. The remaining heat of the burner will help break these down and combine them. Mix this all together, then remove from the burner. 7. With an Immersion Blender – I’m amazed by how often I use this in cooking – blend this all together, really really well to achieve your desired consistency. Taste, then add seasonings – I typically start with 1/2 tsp. kosher salt and a couple of grinds of black pepper, stir & taste, then adjust again. 8. Serve immediately, or refrigerate leftovers up to 2 days. 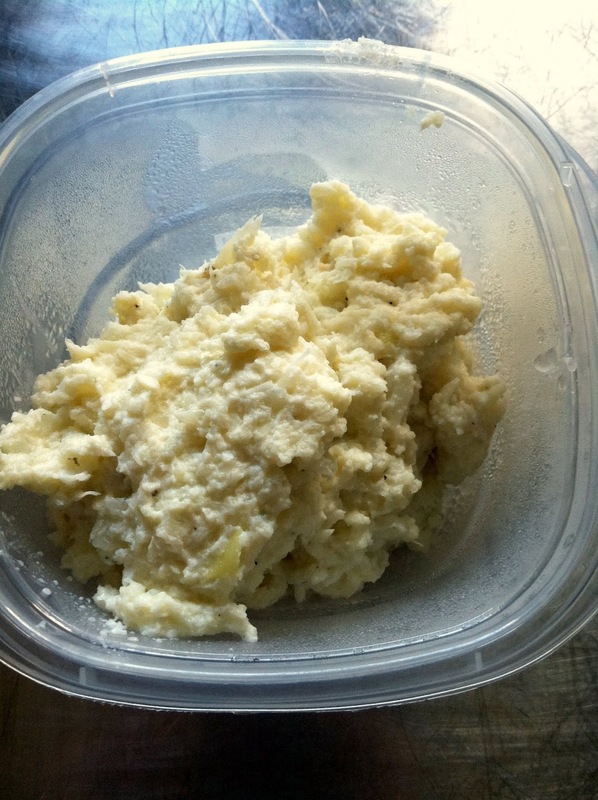 This entry was posted in boursin, cauliflower, cauliflower mashed potatoes, gluten-free, healthy, paleo, sides, south beach diet, vegetarian on February 15, 2013 by westyn.